If you are still reading my blog, you are great. Work and busy weekends have taken over my life, leaving little time for blogging. Recently I’ve had a couple friends tell me they keep checking my blog but are disappointed when they find no new posts. That of course made me want to update, and because I miss it! Today’s post is inspired by a recipe that I’ve been eyeing forever: Chipotle-Mango BBQ Chicken Salad on Iowa Girl Eats. I’ve been following IGE for a couple years now and it’s one of my favorite food blogs, as well as one of the few I subscribe to. I’ve had this particular recipe saved for a long time and decided it was time to try out this miraculous-sounding BBQ sauce. 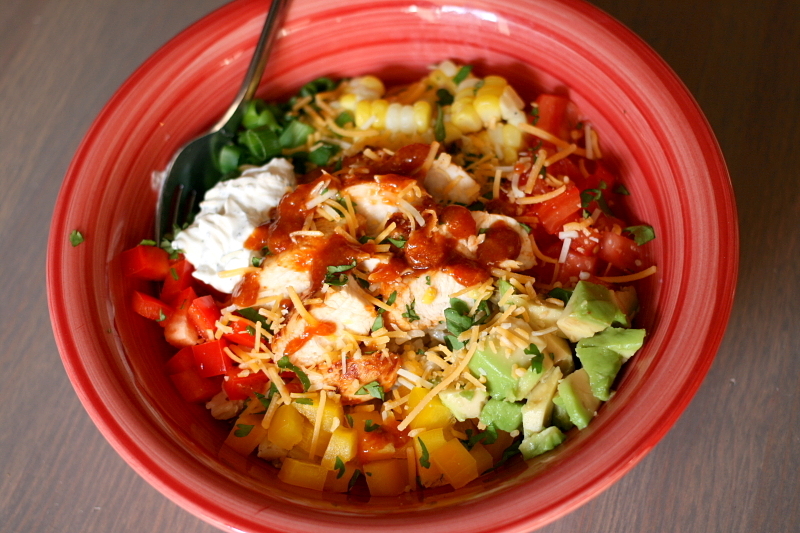 I decided to take a slightly different take on the recipe and make mine into a burrito bowl instead, because who doesn’t love a good burrito bowl? 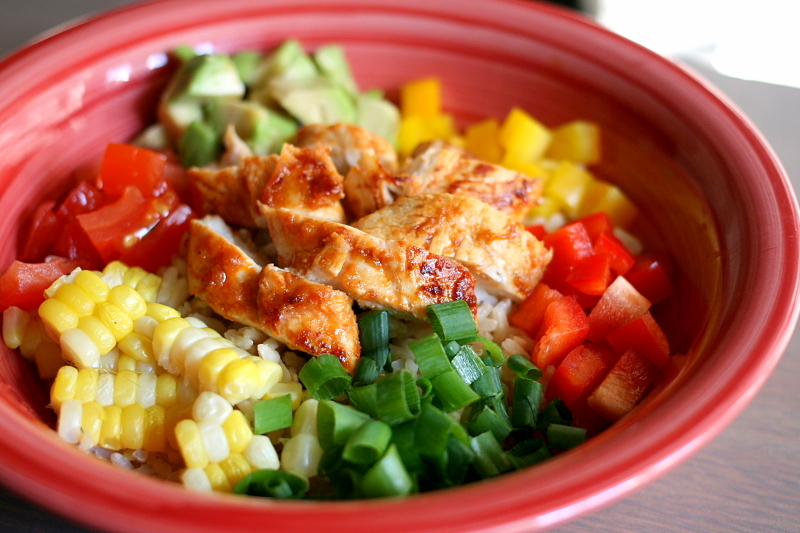 This Mango Chipotle BBQ Burrito Bowl is filled with chicken marinated in a sweet and spicy semi-homemade barbecue sauce, rice, and some of my favorite veggies like bell peppers, fresh corn, and avocado! It’s a great summer recipe because most of the ingredients are in season right now and is light enough that you won’t feel guilty eating it. 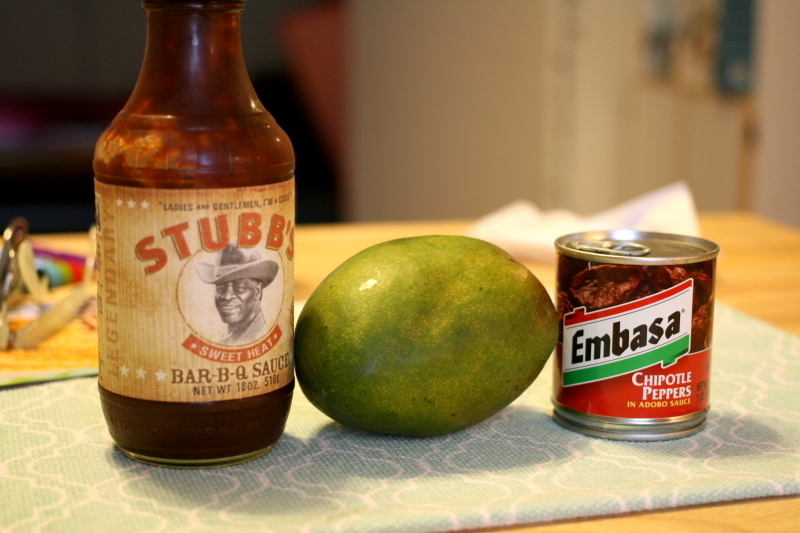 To make the sauce quicker and easier, I added pureed mangoes and chipotle peppers to store-bought BBQ sauce. My favorite thing about recipes like this is that you can completely customize it to your taste and you get a bit of each flavor in every bite! 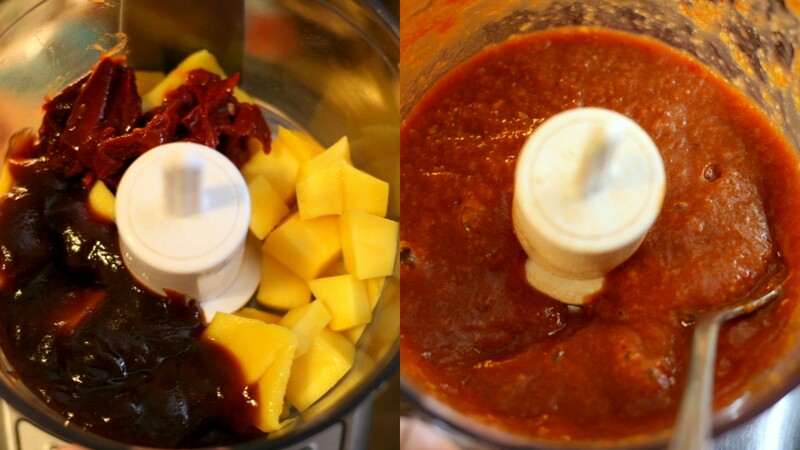 In a food processor or blender, combine ingredients for the sauce. Blend until smooth. 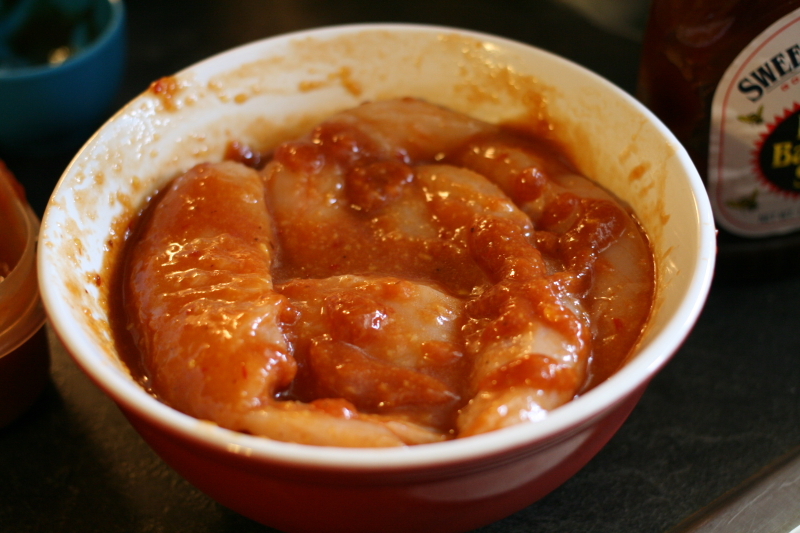 Place chicken in a medium bowl and pour 2/3 of the sauce over it, making sure each piece is thoroughly coated. Cover with plastic wrap and marinate in the fridge for at least 2 hours or up to 6. 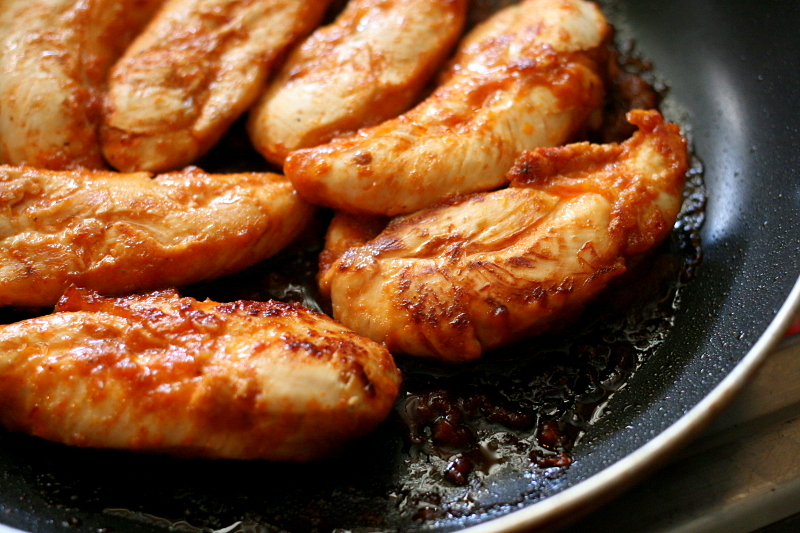 Cook your chicken on the grill or in a frying pan over medium-high heat until cooked throughout. Let rest for about 5 minutes and then cut into bite-sized pieces. 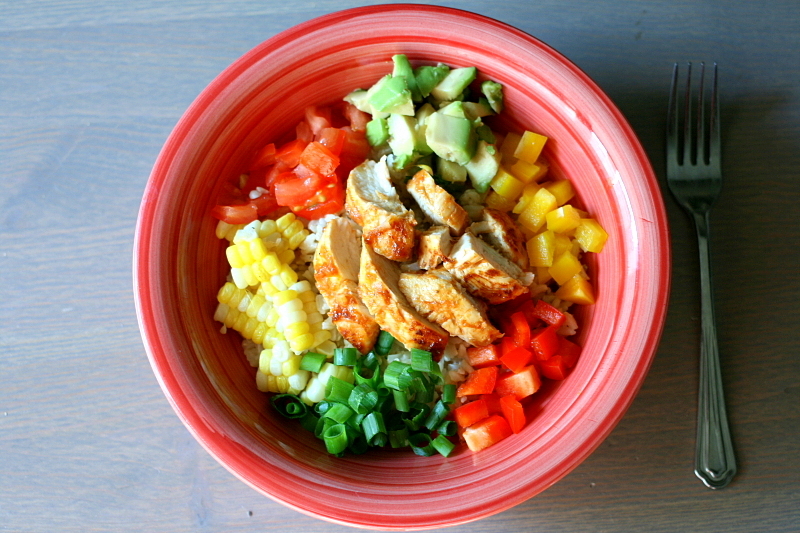 Start to assemble your burrito bowls: First rice, then chicken, your toppings, and then drizzle with the remaining mango chipotle sauce and enjoy! Start by preparing your mango chipotle BBQ sauce: combine diced mango, bbq sauce, chipotle peppers, and tomato sauce, and blend until smooth. Pour 2/3 of the sauce over your chicken and stir, making sure each piece is thoroughly coated. Marinate for at least 2 or up to 6 hours in the refrigerator. Cook up your chicken, either on the grill on in a frying pan. 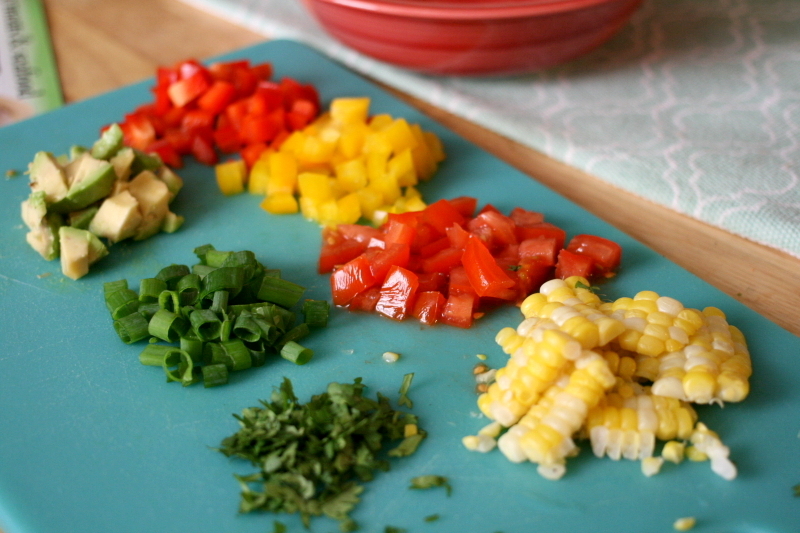 Assemble your delicious burrito bowl! Start with rice, chicken, and your favorite toppings. Finish off with the remaining mango chipotle sauce, and optional cheese and sour cream. Enjoy! This looks delicious and healthy with bright flavours. Sometimes we have to eat with our eyes first. Definitely! I tried to include as many colorful ingredients as I could. Sounds delicious! I topped mine off with jalapeño sour cream, it really brought everything together! Jalapeño sour cream is definitely mouth watering :). I can try the recipe using either cream cheese and sour cream.